In our final week, it’s all about precaution and preventing costly mistakes in your home. Here’s why regular maintenance is a must and should always be on your calendar. It can be fun and exciting to be a new homeowner, with entertaining friends around your kitchen island, relaxing on your favorite coach with the game on the big screen TV, and treasuring your extra bathroom when guests visit. Big homeowner mistake … that can be easily avoided if you put “preventative” maintenance on your to-do list today. It will be worth your time and money now so that you won’t face costly repairs for any serious (and preventable) damage later on. Many homeowners put off maintenance because of its cost. The benefit isn’t always seen immediately. But you need to think of it more like insurance, spend a little upfront so that you’re not wiped out later on if (and, most likely, when) something happens. 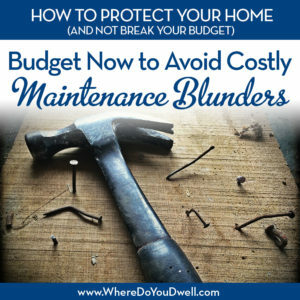 Maintenance costs can vary from year to year, but on average most owners should budget 1% of their initial home’s price for maintenance and put that money aside. You may spend just a couple of hundred dollars some years but having a reserve fund will prevent you from being blindsided by a major project, like a new roof or tree removal. Keep in mind, older houses may require more work and money to upkeep, so all of these tips should be rules of thumb. We see many homeowners focusing on upgrades and updates instead of necessary maintenance. So take notes on everything we are telling you here! Some of these maintenance “musts” will require hiring an expert or having a service contract, while others may need you to purchase items for your DIY attempts. Plus, some maintenance is required regularly while others come up every few years. Either way, these “musts” should be on your list and part of your budget. Consider getting a service contract with a company to provide routine maintenance of your HVAC system. They should come out every spring and fall to make sure it’s ready for the cold winters or hot summers. With a contract, you’ll get priority service if an emergency arises. Change your filters regularly. Check them monthly and change at least every three months. Dirty filters slow down air flow and waste energy. Plus, dirt build up can lead to system failures or maintenance issues. Furnaces on average last 18 years. Keep your eye out for any leaks in walls, ceilings, around toilets, etc. A small leak can lead to a major disaster! Carefully inspect older plumbing, especially if it’s on the second floor. Hire a plumber for jobs that you know you can’t handle! A hot water heater lasts on average 12 years, but when it goes, it just lets out all of the water in its big tank. So check it yearly to see if it’s rusting, leaking or showing any signs that it needs to be replaced before that happens! Exterior faucets (or hose bibs) need to be “bled” before the winter so you don’t get burst pipes inside your walls. Contact your plumber to show you how or check out this DIY information. Upgrade your system and make sure you have dedicated circuits for appliances and grounded outlets for all of your needs. This is a safety issue and the cost of an electrician is well worth it. Don’t attempt electrical work yourself. Find a recommended electrician you can call on regularly when needed. Clean windows and screens at least once a year but better yet in the spring and fall. Some people do this job by themselves, while others find it worth the money to pay for a service to get sparkling windows. Check caulking around windows and fix when needed to prevent air leakage and water damage. Also be sure to paint any exterior trim every 5-7 years to prevent peeling paint and wood rot. 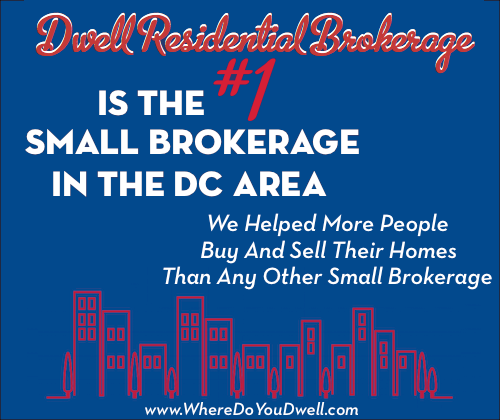 Many homeowners in the DC area purchase regular service from companies that can help with various pests – ants, spiders, rats, mice — inside and outside of the home. Promptly repair peeling paint and rotting shingles, which can lead to water damage and mold growth. Power wash vinyl siding every other year to prevent bacteria from growing and staining. You can hire a company to do this for you if you don’t have a power washer. Follow your manufacturer’s instructions if you have fiber cement siding (i.e., hardiplank siding). Fix damaged or missing shingles to prevent leaks and mold in the attic. If you have slate shingles like many older homes in the DC area, you should budget for these since repairs and replacements can be costly. Have a roofer come out every few years to caulk, repair, and seal whatever is looking worn out. This can extend the life of your roof for years. Get it cleaned professionally once a year, especially if you use it regularly. Examine it for loose bricks and mortar and get it repointed. The earlier you catch this, the better, in order to avoid water damage and rebuilding a new chimney. Keep these cleaned regularly in spring and fall, when debris and leaves are most likely the heaviest. Hire a professional if you don’t want to climb high ladders! Cluttered gutters can lead to water damage. During a major rainstorm, see if gutters are overflowing. Standing water in a gutter can also freeze in the winter causing the gutters to pull away from the house. Make sure your gutters are directed to drain as far away from the house as possible and on a downslope. Check this regularly to prevent major water damage. Consider and budget for a French drain system is water tends to pool in your yard. Keep your trees trimmed and healthy every couple of years. Look for dead branches and dangerous overhangs close to your home. You don’t want any surprises during a storm so hire a professional company to care for your trees and trim when necessary. Overgrown bushes can be a comfy home for mice and other creatures. Keep them neat and trimmed below window level. Yard work includes mowing the lawn, raking leaves, aerating, fertilizing, weed prevention, and seeding. You’re either going to do this yourself or hire someone. You may need to budget in the purchase of a lawn mower, garden tools, rakes, snow shovel over the course of your homeownership. Follow your deck’s maintenance instructions each year, which might include cleaning it with a mild bleach solution to prevent mold. Pressure treated decks can become dry and splintered, so stain or seal regularly. Pull weeds from patios before they take root and cause damage. Follow your driveway’s maintenance instructions since there are so many different kinds of materials used now. Clean up oil and gas stains as directed. Your driveway also might require sealing if asphalt or filling in sand/sealing if you have brick or clay pavers. Know the age of your appliances and how to handle each properly to ensure a longer lifespan — washer/dryer; dishwasher; stove/oven; refrigerator; etc. If you’ve “inherited” these appliances when you moved in, then take the time to read up on them before using. Treat your appliances with proper care and don’t delay fixing when broken. Budget for repair or replacement for these items. Appliances do not last as long as you might think! Find a reputable service repair company or consider getting repair plan when purchasing a new item. It is usually well worth the extra cost, but do your homework first. Having a budget isn’t any good if you don’t actually do the maintenance. Create a schedule for when certain tasks need to be done, perhaps by month. This will help you stay on task. For example, October: gutters cleaned. Keep a record of maintenance tasks, purchases, and receipts in a binder or another file system to easily find information. There are even apps for smartphones out there too. Preventative maintenance is also important for preserving your home’s value. Your home is probably your biggest investment and you want to make sure it retains its value. A poorly kept home in a worn condition can lose up to 10% of its appraised value, according to appraisers. When you sell your home, you don’t want major issues that could drag down its selling points. You are in control of this outcome, so start today on your preventative maintenance and budget plan!